Quiz: How Well Do You Know Chicago Restaurant History? Theater in Chicago has always been strong, ambitious and risky. Actors, directors, set and costume designers and a host of other creatives have built a brand in Chicago that is prepared to bare its fearless soul. The League of Chicago Theatres and City of Chicago have come together in 2019 for the Year of Chicago Theatre, a yearlong celebration of Chicago’s world class theater. The celebration will include performances of all kinds and special public events across Chicago’s stages, parks and other venues. One theater known for baring its soul, and sometimes its actors, is celebrating its 50th anniversary this year. The Organic Theater Company was founded in 1969 by Stuart Gordon at the University of Wisconsin, Madison. 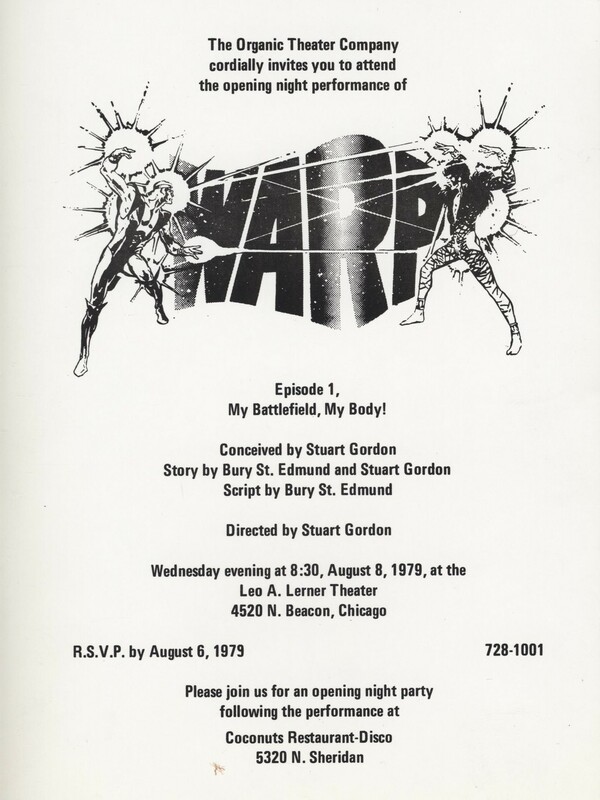 After a unique interpretation of Peter Pan, Gordon’s edgy style soon made its way to Chicago. 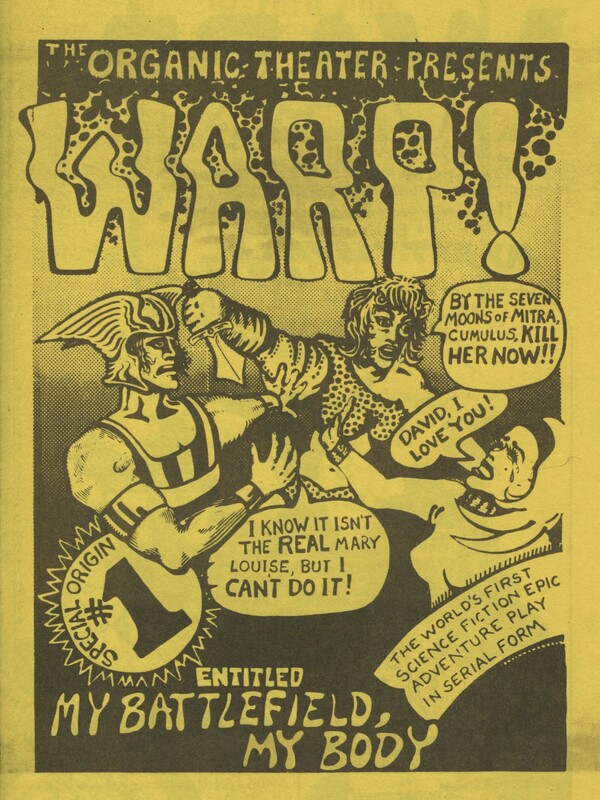 In December 1971, the Organic Theater Company launched WARP Episode I: My Battlefield, My Body into the fictional land of Fen Ra in the fifth dimension and onto the stage of the Body Politic Theater. 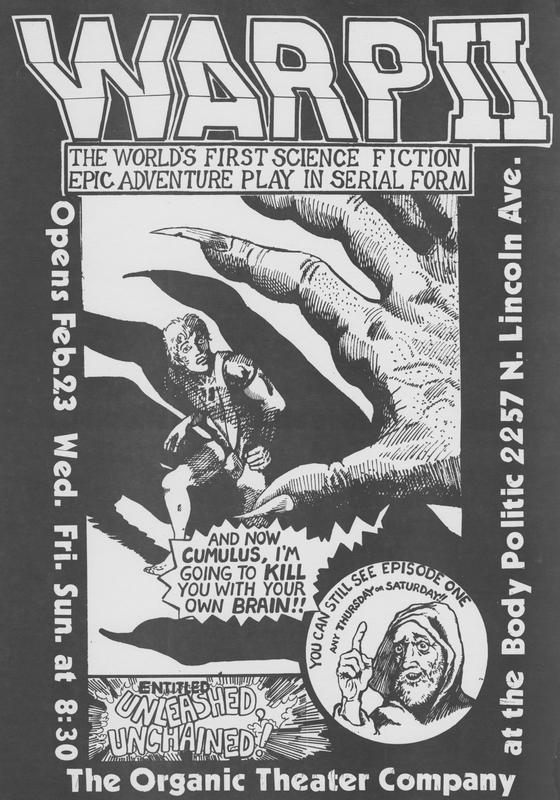 It was the first play of a sci-fi trilogy co-written by Gordon and Lenny Kleinfeld. 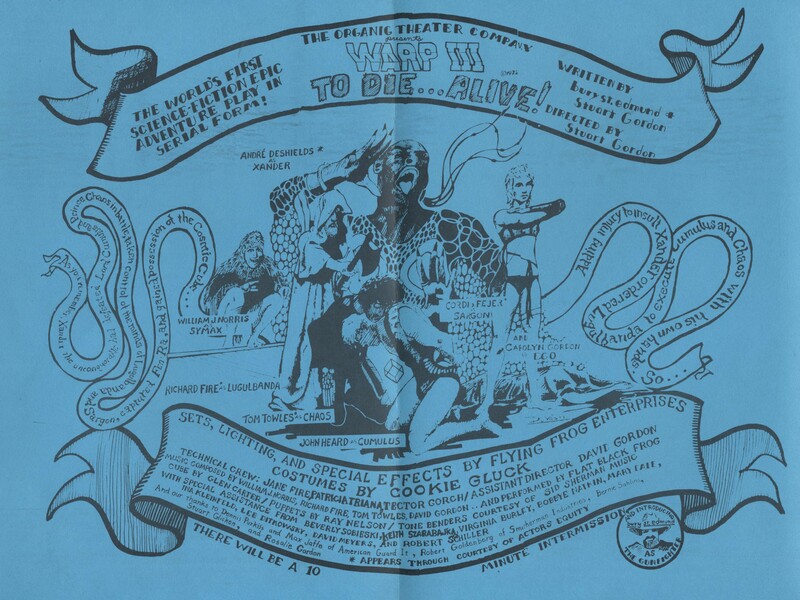 The program described it as the “world’s first science fiction epic adventure play in serial form.” Directed by Gordon, the show starred Cordis Fejer, Richard Fire, Cecil O'Neal, William J. Norris, Carolyn Purdy-Gordon and Tom Towles. Three months later, they were joined by Andre De Shields as Xander when Episode II: Unleashed, Unchained opened in February 1972. 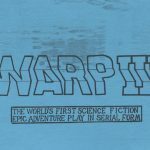 The WARP trilogy concluded with Episode III: To Die… Alive! which opened in July 1972. 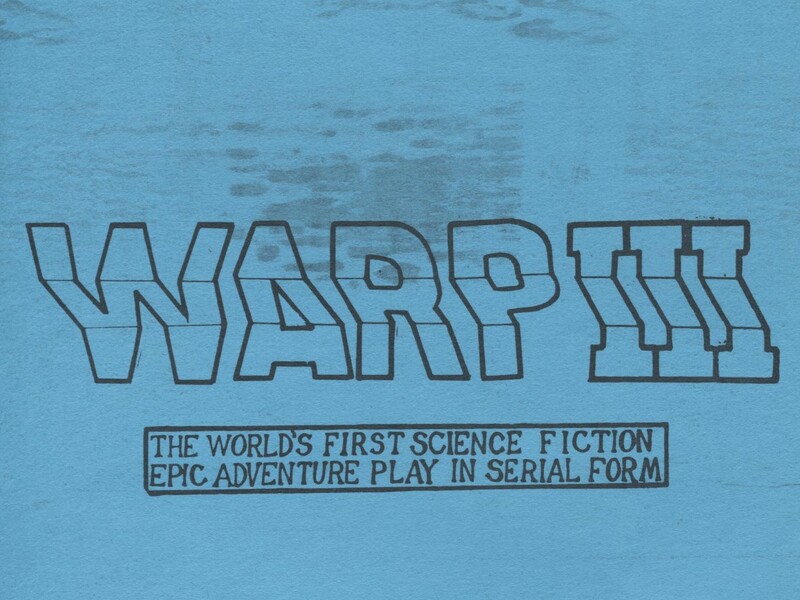 WARP was a success. Organic ran the three episodes to packed houses for a year and a day before closing on December 9, 1972. The cast and crew took the show to the Ambassador Theater on Broadway for a five night run. 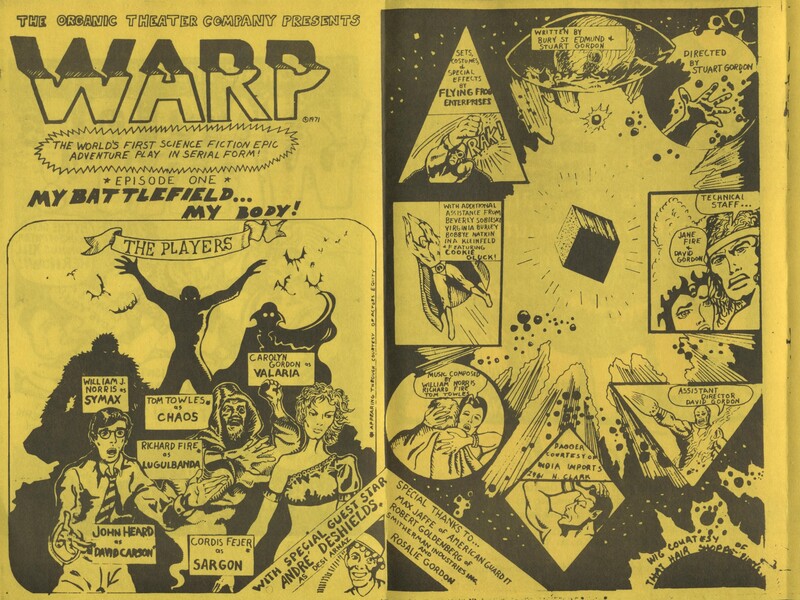 In 1979, a revamped WARP once again played to sold out crowds, presenting the trilogy as the Organic Theater’s 10th anniversary, and first subscription, season. Many of the original cast reprised their roles, though De Shields had stayed behind in New York, after the closing at the Ambassador, and shortly after earned the title role in The Wiz on Broadway. Because it so gloriously mixes elements of Wagnerian opera, Arthurian legend, Shakespearean rhetoric, Freudian psychology, Carrollian whimsy, Biblical miracles, fairy tales, comic books, nonsense rhymes and dirty talk, the WARP trilogy probably always will stand as the supreme summation of the Organic Theater’s distinctive, ecstatic embrace of the living theater. 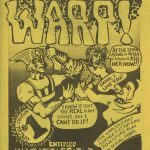 WARP has left its mark on Chicago’s theater story. 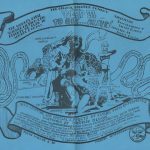 Critic Scott Fosdick surmised that WARP and American Buffalo by David Mamet dominated the 1970s in Chicago theater memory. 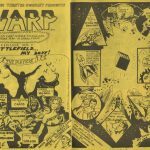 Robert Falls, now Artistic Director at the Goodman, has shared that as a high school student, seeing WARP helped him decide to make his career in theater. 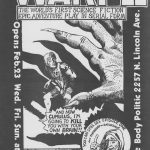 Learn more about WARP, Organic's history and other Chicago theaters in Special Collections at Harold Washington Library Center, or pick up another sci-fi classic while you're visiting -- our One Book, One Chicago selection, Do Androids Dream of Electric Sheep -- then join in the 2019 Year of Chicago Theatre festivities.